To reduce the impact of livestock on driving deforestation in Kenya’s South West Mau Forest, Partnerships for Forests is supporting the Sustainable Trade Initiative (IDH) to develop and implement an innovative livestock production model. The Mau Forests Complex (MFC) is Kenya’s largest closed-canopy montane forest and provides vital ecological services to the country. In the last two decades, the MFC forest area has been reduced by more than 25 percent through land use changes and unsustainable resource extraction. The South West Mau Forest reserve, originally gazetted in 1932 with an area of 95,356 hectares, has been reduced to just 60,000 hectares. A study conducted by IDH and Rhino Ark in 2016 showed that although the current South West Mau forest area had not been excised or encroached, a significant area along the eastern boundary used for grazing livestock had been reduced to grassland or scrub. Illegal activities (including over-grazing and over-browsing by livestock; wood extraction for charcoal and firewood; fire; and poaching) continue to degrade the rest of the forest. Livestock production remains the biggest threat to the forest area. 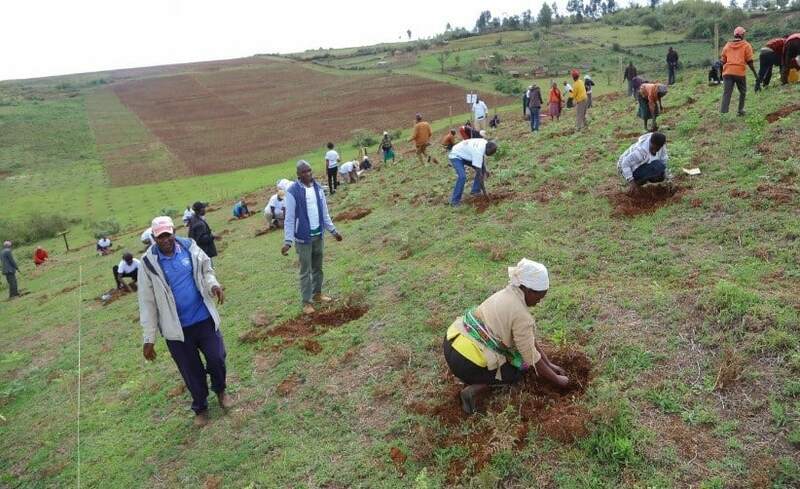 To protect the South West Mau forest, the Initiative for Sustainable Landscape (ISLA) was formed. This formal partnership brings together key stakeholders – including Unilever, Finlays, Safaricom, SNV, GIZ, Rhino Ark, Kenya Forest Service – to develop and implement an integrated action plan to address drivers of deforestation in the area. Partnerships for Forests is supporting IDH, as part of the ISLA initiative, to design, pilot and facilitate the adoption of alternative livestock (beef and dairy) value chain models by communities farming along the eastern boundary of the South West Mau Forest. The innovative livestock production model will be implemented with local communities and other partners to ensure herd control (so livestock does not graze freely into the forest); improve forest access regulation and enforcement measures; intensify livestock production systems; and provide value addition and market linkages for livestock products. The project aims to strike a balance between improved livelihoods and forest conservation. Farmers will be supported to increase their incomes with more efficient production systems and better access to markets. And pressure on the forest will be reduced via production-protection agreements between government agencies, local communities and livestock buyers. If successful, the model will be shared for replication in other parts of Kenya and beyond. By 2020, the project is estimated to bring 80,000 ha of the South West Mau Forest area under sustainable management and mobilise £25,000,000 of private investment.